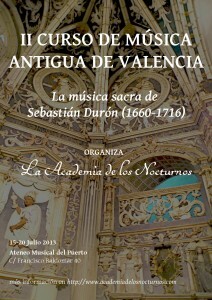 La Academia de los Nocturnos hosts the II Valencia Early Music Course, on 15-20 July. 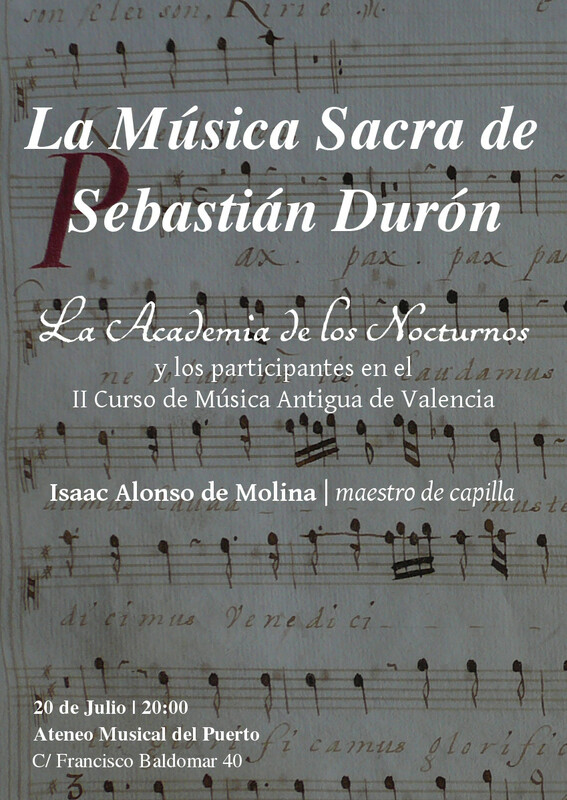 This year’s course will focus on the sacred music of Sebastián Durón (1660-1716), who was chapelmaster to the King of Spain at the end of the XVIIth century and beginning of the XVIIIth. 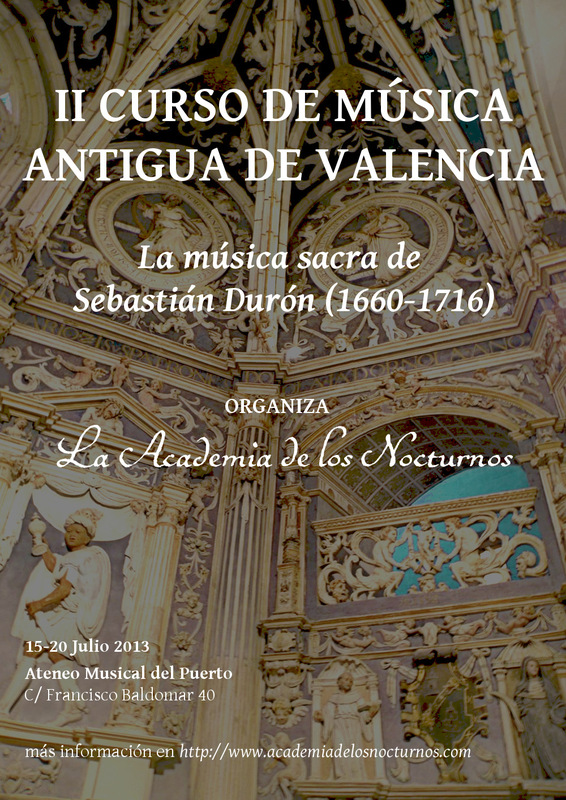 Although he’s undoubtedly one of the most important Spanish Baroque composers, his production has not yet received the attention it deserves, some exceptions aside. 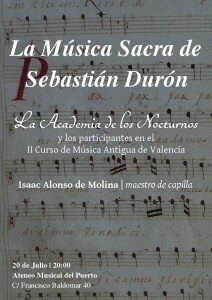 La Academia de los Nocturnos wants to contribute to the appreciation of his music by devoting a week of intensive work to it.